Nikon's AF-S DX Micro-Nikkor 40mm f/2.8G is the company's most affordable 1:1 macro lens for DX-format digital SLR cameras. The remarkably compact and lightweight lens offers features like a Silent Wave Motor (SWM), full-time manual focus override, a focus limiter, Super Integrated Coatings and a minimum focus distance of just 0.53 feet (6.4 inches). 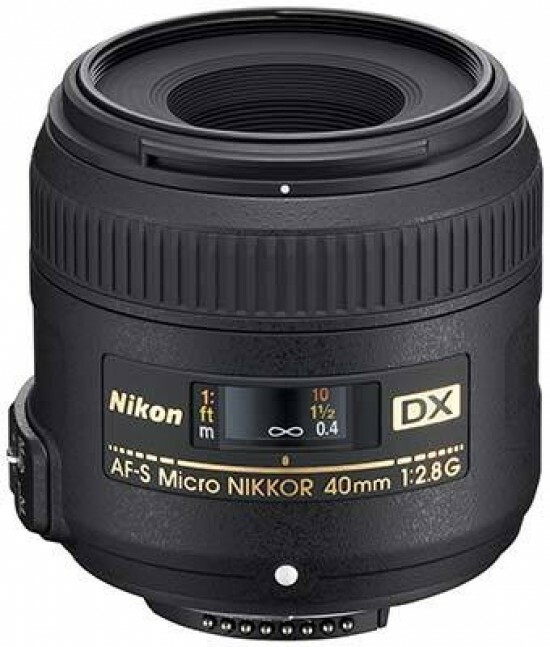 Intended to be a “gateway” lens for those who would like to wet their feet in macro photography, the AF-S DX Micro-Nikkor 40mm f/2.8G also doubles as a slightly overlong yet entirely usable mid-speed “normal” prime that's well suited to general photography. As of writing, the Nikon AF-S DX Micro-Nikkor 40mm f/2.8G lens is available for £236.00 / $279.95 in the UK and the US, respectively. 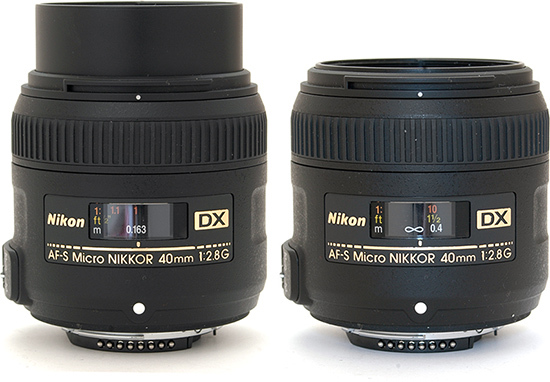 Weighing in at approximately 280 grams, the Nikon AF-S DX Micro-Nikkor 40mm f/2.8G is pretty light for an SLR lens. 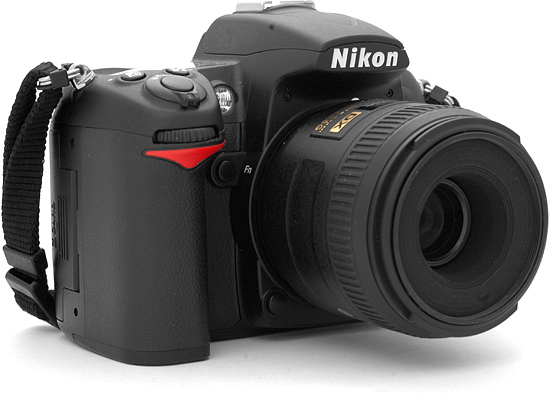 As you can see in the photo above, it complements the Nikon D7000 very well – and it's a good match for the smaller, D3100/D5100 class Nikons too. The lens has a 52mm filter thread that does not rotate on focus. The front lens element is deeply recessed when focused at infinity, but moves forward as you focus closer. The focus ring isn't particularly wide but adequate for the job. 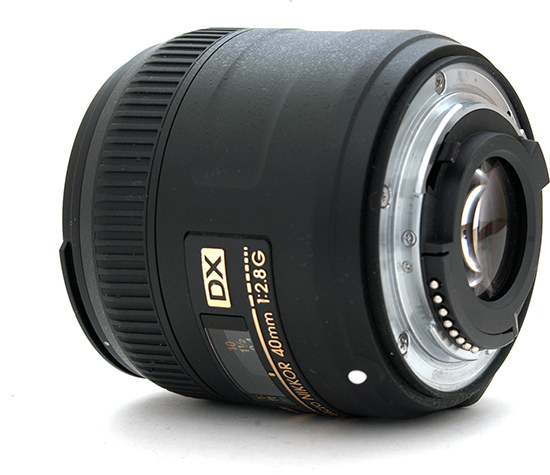 The AF-S DX Micro-Nikkor 40mm f/2.8G has an inner lens tube that extends quite a bit upon approaching the close-focus point. The Nikon AF-S DX Micro-Nikkor 40mm f/2.8G lens has a combined magnification and distance scale sheltered behind a plastic window. 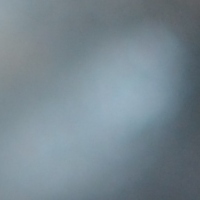 However, there are no DOF marks, and there is no infrared focus index, either. The AF-S Micro-Nikkor 40mm f/2.8G boasts a Silent Wave Motor (SWM) that allows for full-time manual focus override, even when the focus mode selector is in the M/A position. The lens also has a focus limiter that enables users to limit focus from infinity to 20cm – this comes in handy when using the Micro-Nikkor 40mm f/2.8G as a general-purpose lens (i.e. for non-macro work), particularly in low-light situations when focus hunting might occur. Nikon does not claim the lens to be weatherproof, but you can nevertheless find a rubber gasket around the bayonet mount that should provide some degree of protection against dust and moisture. The lens ships with the dedicated HB-61 hood but it wasn't provided to us for this test. 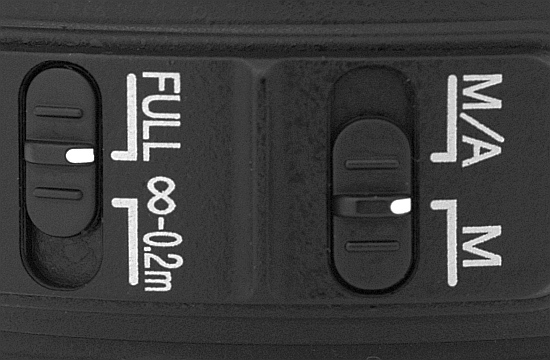 As noted earlier, the lens has a Silent Wave Motor for quiet auto-focus operation. 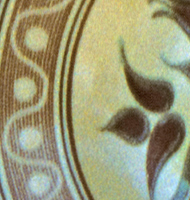 At normal distances, focusing is quite fast for a macro lens. In the macro range, focusing may take longer. Also note that while you can limit focus from infinity to 0.2m for non-macro work, there's no such option for the macro range, so if the AF system misses the subject, extensive hunting might occur. 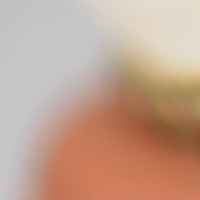 Focusing manually is thus often a better idea when doing extreme close-ups. The focus ring is nice and smooth, and offers plenty of travel for precise manual focusing. One thing about the Nikon AF-S DX Micro-Nikkor 40mm f/2.8G lens that is likely to bother a lot of users is a rather excessive amount of focus breathing – this means that magnification changes a lot with small changes in focus distance. This is, unsurprisingly, mostly apparent when working in the macro range, and can make it hard to achieve the exact framing you have envisioned. Chromatic aberrations, typically seen as blue or purple fringes along contrasty edges, are much less of an issue with this lens than the Micro-Nikkor DX 85mm f/3.5G VR that we reviewed a couple of months ago. 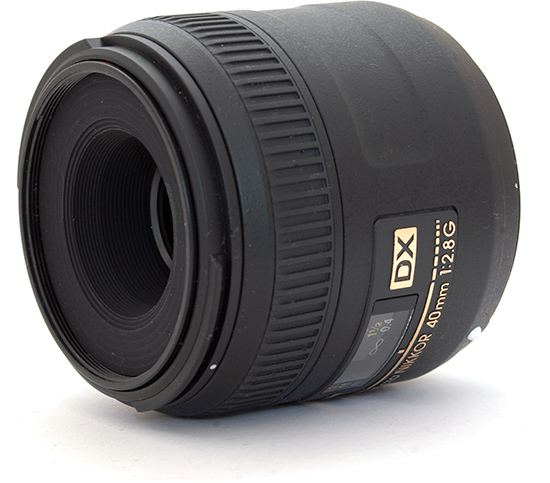 Being a macro lens, the AF-S DX Micro Nikkor 40mm f/2.8G can achieve a very high reproduction ratio (up to 1:1). 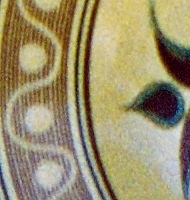 The close-focus point is at 6.4 inches from the sensor plane. Taking the lens' length, flange-back distance and extending inner tube into account, this translates into a very short working distance, which can cause problems with properly lighting your subject, and causes the Micro Nikkor 40mm f/2.8G to be less than ideal for photographing timid creatures and stinging insects, which may take exception to you intruding into their “private sphere”. 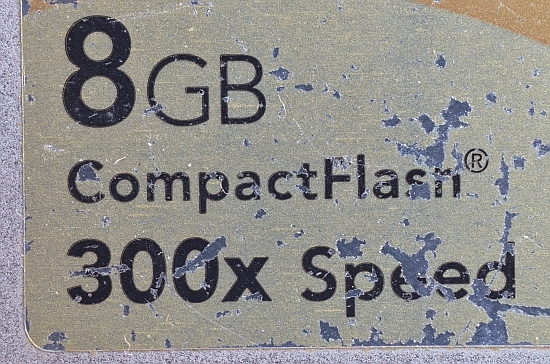 The example below demonstrates how close you can get to the subject – in this case, a weather-beaten Compact Flash memory card. This is a good solution when you don't need to digitise the whole frame but want to maximise resolution. 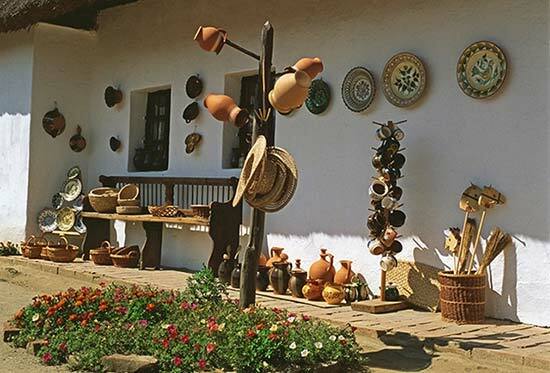 Alternatively, you can take four overlapping pictures and stitch them on the computer for a very high-resolution “scan” of the original. But how high is this resolution compared to what you can achieve using a film scanner? Taking the D7000s' resolution and sensor size into account, a slide crop digitised at a reproduction ratio of 1:1 should have a theoretical resolution of over 5000ppi. Can it rival a good 4000ppi scanner in real life though? 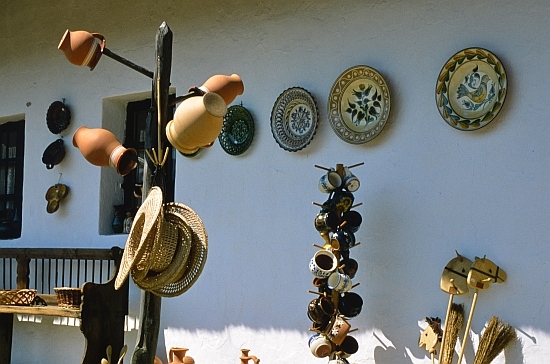 At left is a 100% crop from the D7000, while the second crop is from a 4000ppi scan made with a Nikon Coolscan 8000ED scanner. We have made an effort to match the exposure but not the colour. As you can see, the image from the D7000 is at least as sharp as the scan, with comparable levels of detail. This means that the Micro-Nikkor 40mm f2.8G, coupled to a high-resolution camera body can indeed rival the best desktop scanners – although you will still want to get hold of a good film holder that keeps the originals as flat as possible, especially when working with loose strips rather than mounted slides. Bokeh is a word used for the out-of-focus areas of a photograph, and is usually described in qualitative terms, such as smooth / creamy / harsh etc. In our view, the AF-S DX Micro-Nikkor 40mm lens delivers a very pleasing bokeh – but given that bokeh evaluation is subjective, we have provided a number of 100% crops for your perusal.